I am doing an extensive remodel of a home in Naperville, which had to be partially demolished after a fire. 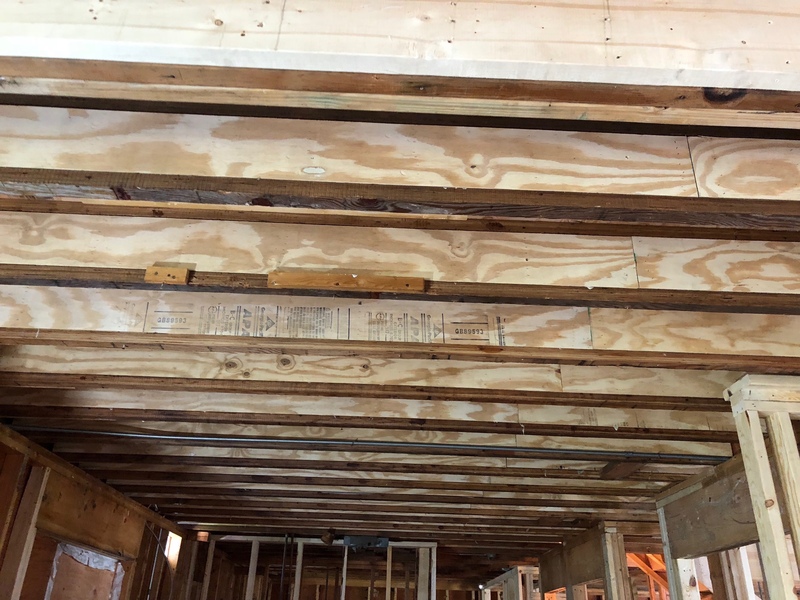 When I removed the ceiling in the kitchen I discovered that the I-Joists had many drilled holes in them from a previous remodel from another contractor. Each hole weakens the I-Joist, and it was felt that they were now inadequate to support the floor above. The solution was to add reenforcement. Three-quarter inch plywood was cut to fit the existing structure, and these pieces were secured to the old I-Joists with screws and glue. You never know what you will discover when you start to remove ceilings and walls. Most problems can be corrected if you have the knowhow. If you have any remodeling or construction needs, feel free to give me a call for a free estimate.